The Economist Called Vancouver Boring. And It's Probably Right. No one in Vienna or Geneva seemed to care about their allegedly humiliating inclusion in The Economist. So why Vancouver? Well, because we're all afraid it's true, aren't we? It was the most tepid of pot shots -- a throwaway line in an article really about New York City: "Vienna, Vancouver and Geneva always seemed to do well" in livability surveys, chirps pseudonymous travel columnist Gulliver in The Economist. "Pleasant cities, yes, but mind-numbingly boring." He wasn't even writing about Vancouver alone, yet our local heroes got their dander up in a hurry. 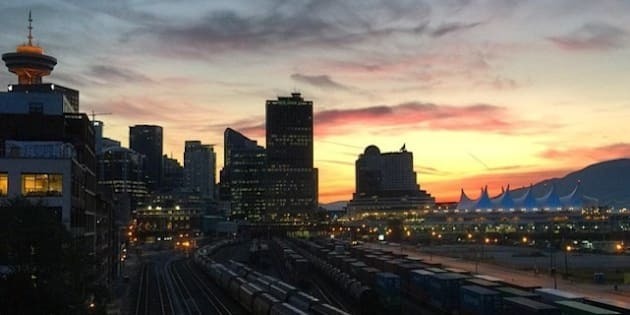 The Province called The Economist "long winded" and "British" before defending the city with the illustrious fact that Vancouver's airport has won "best in North America" six years running. Well then. "Adventure is in our DNA!" remonstrated Mayor Gregor Robertson, through freshly Botoxed cheeks. "They're experts on boring!" scolded Premier Christy Clark on Twitter. Cynics might be moved to yawn out "the lady doth protest too much," but it's scarcely worth the bother. It was a weird response. Perhaps even provincial. Parochial. No one in Vienna or Geneva seemed to care about their allegedly humiliating inclusion in The Economist. So why Vancouver? Well, because we're all afraid it's true, aren't we? Celebrations over winning "most livable city" have dampened in recent years as we seem to excel far more at earning "most unaffordable" and "loneliest" urban trophies. The "livability" award has always been strange anyway considering the vast number of people being displaced by Local Area Plans catered to the wealthy; or the fact that the Vancouver school board loses 600 - 700 students every year due to unsustainable housing and child care costs. If you can buy a condominium in a trendy neighbourhood for half a million dollars, I suppose the city is quite lovely: you can shop at Nester's, eat out at the Judas Goat and go for runs along the Seawall. But it's hard to quibble with the boring label when that condo was built on the wreckage of a bulldozed heritage building, your favourite restaurant is indistinguishable from any other minimalist exercise in slow food pioneerism, and everyone you ever meet is exactly, exactly like you. Gulliver's mournful gestures toward "grit" and "danger" are obnoxious and entitled. But its lack of muggings and assaults is not why Vancouver is boring. It's boring for the same reason it is unaffordable and lonely: the city is built on an ethos of boundless consumerism and simulated, gormless culture. The proof is in the Portlandia archetypes that have come to define the city: a Lamborghini with an N in the rear window; a lumbersexual wearing $300 boots; stand-up paddleboard yoga; and, of course, a multi-million dollar house tailored to look like the century-old home it demolished. These clichés are so entrenched it is a cliché to even list them. It's hard to deny that Vancouver has taken a hatchet to anything interesting with admirable gusto. Last summer, the RCMP made it a special project to crack down on illicit activity on Wreck Beach, the very illicitness that makes it special. There was that awkwardness when even the artistic entrepreneurs who tried to get along with the developers were themselves evicted by bigger and better connected gentrifiers. Gig venues, galleries, media offices and bookshops are closing with such alarming frequency they don't even merit a mention in the press anymore -- and the independent publications that would normally cover the arts are themselves closing up shop. I'm not from Vancouver -- and my family was one of the many priced out of the city last year -- but what excites me about the city isn't the diversity of overpriced restaurants and $10 pints of craft-brewed beer. It's the activism of groups like the famous Woodward squat or Transportation not Deportation, who got Translink to end the despicable practice of turning over undocumented detainees to Canadian Border Services. I much prefer to walk down by the banks of the Fraser River in Marpole than the sanitized, varnished Seawall in False Creek. I get excited by vibrant, local media like The Mainlander, Megaphone or SadMag rather than the masturbatory and soulless Vancouver is Awesome. I love impromptu May Day parades and 20 years of marching for Missing and Murdered Indigenous women. But this city is not built for these things. Indeed, it has become increasingly hostile to their flourishing. Vancouver loves to bask in the shine of its immense natural beauty -- and oftentimes "shine" is all the city has. We see it reflected back at us from our mayor's illustrious skin and the bay windows on the mansions dotting the North Shore mountains. But it takes no imagination to enjoy a city carved out of a Pacific rainforest on the shore of the Coast Mountains. All it takes is inertia.